The North American church is worried about its young people. As congregations age and membership declines, many churches are anxiously trying to reach those classified as un-churched, de-churched, or nones (‘no religious affiliation’). It seems every couple days, my social media outlets become filled with ‘5 more reasons millennials are leaving the church’ or ‘6 things the church needs to change to attract young people.’ There are entire conferences, books, and blogs devoted to how churches should engage the millennial generation. We want young people to come, to hear the gospel, to re-energize the church, and to replenish our depleting members. I used to read almost every post and article that came my way. As a young pastor (27) in a church that desperately wants to reach our community, I clamored for resources to help me reach this untapped population in our area. The advice began to blur together. More contemporary music. More authenticity. More community. More vulnerability. More young leaders. Less hymns. Less Sunday School. Less politics. However, the more I read, the more anxious and discontented I became. I began to experience what Andrew Root calls ‘millennial anxiety.’ More information did not leave me more equipped, but more fearful for the future of the church and more desperate for ‘young people’ to show up. We become more driven by anxiety than mission. When Jonah bought a ticket and set sail for Tarshish, the Lord sent a mighty wind over the waters and caused a great storm to crash against the boat. As the storm grew, the sailors became more and more afraid. In their panic, they threw everything they could overboard to keep the ship from sinking. Anxious churches and leaders can be tempted to do the same. When churches age, when membership declines, and when anxiety rises, we can be tempted to jettison almost anything in order to keep the ship afloat. While there are surely some churches that are still, like Jonah, asleep in the bottom of the boat and unaware of the storm, many more are scrambling on deck, throwing out almost anything that is not nailed down. Doctrine, creeds, confessions, and unpopular beliefs easily become flotsam in a quest to keep the boat from capsizing. There are certainly aspects of every church that must be subject to change. Contextualization and translatability are important aspects of any Christian church. But anxiety can dull our ability to discern the barrels of wheat we happen to be shipping from the rigging that keeps that ship moving in the right direction. Additionally, the mission of the church can get lost in order to stay afloat. Or worse, we can easily pour all our energy into grabbing enough young people to keep our churches open and call it mission. No one wants to be used, and no one wants to be a part of a church that exists for the sake of existing. No one buys a ticket onto a ship just to try and keep it afloat. It can be easy to fall into the temptation to want to be a different church. Sometimes it is wanting to be the church with all the twenty-somethings. Sometimes it’s being the church with the drama team, or the church with all the young poets and artists. Whatever it is for us, we can be tempted to want our church to be something else. A certain level of discontent is good and leads us to engage deeper with our church community and help it be more faithful to the gospel of Jesus Christ in our context. Learning from other churches and listening intently to the Spirit is healthy for our communities. Yet, that discontent can also easily transform into malcontent or envy. 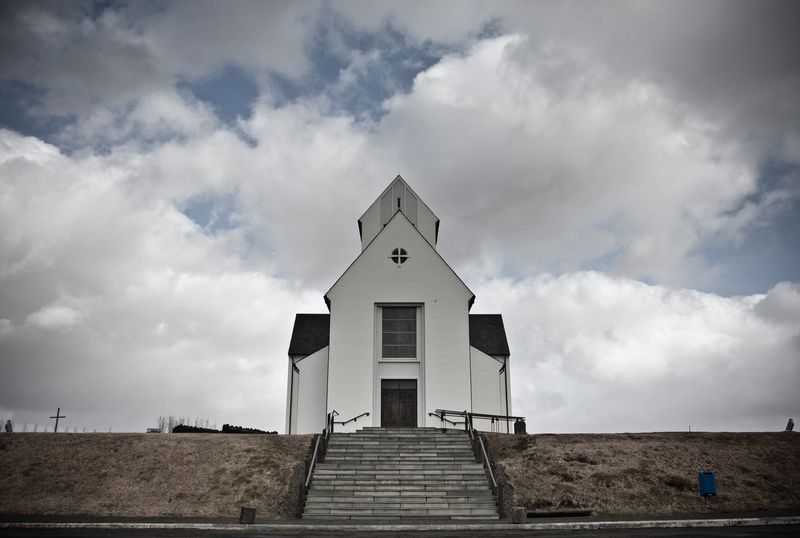 Instead of learning from other churches, we simply want to be other churches. We are called to love our churches – warts and all. Their faults and foibles, when not contradicting the gospel, should lead us to deeper engagement in discipleship and mission. We should actively work to conform ourselves and our churches into the image of Christ. But ‘missional anxiety’ often leads to envy, instead of engagement. This envy causes us to disengage as we sit on the sidelines and criticize our churches for failing to attract the young. Our church, like every church, has work to do as we strive to be faithful and fruitful. But that work requires engagement, not disinterest; love, not envy; and humility, not anxiety. Demographics can become more important than people. Ultimately, I don’t minister to millennials. I don’t even seek to have ‘millennials’ come to our church. Instead, I minister to concrete families and individuals. I’m not concerned about some vague and mysterious demographic, but with the concrete people in my community. I pray for opportunities to share with the new couple who moved into the farm down the road. I pray for wisdom and for reconciliation for my two neighbors across the street who cannot stand one another (and have subsequently built a gigantic fence between their properties). I pray for the poor, lonely lady down the street whose truck never seems to work. I pray for the courage to stand up for her when people in town make fun of her. I am concerned for the adult children of members of our congregation whose lives are falling apart and have stopped coming to church. I pray for a way to show Christ’s love to our neighbors and their children who think I’m a priest (and that I own the church building). I pray for these people and many more. I’m not concerned about millennials because my ministry has faces. Some of those are young and some are not. I have enough brokenness to speak the gospel into and enough people to love as myself without chasing a demographic. As Dietrich Bonhoeffer said, “It is the task of youth not to reshape the church, but rather to listen to the Word of God.” Our church will change. It will change as each of us encounters the stranger and seeks to love our neighbor and share the gospel. It will change as we seek to obey Christ and listen to his Word.